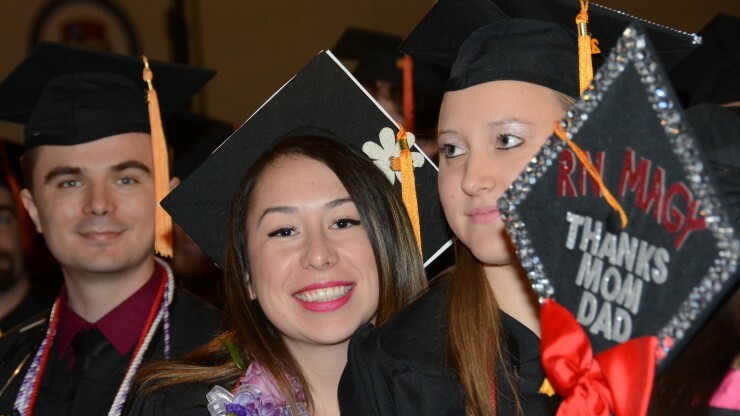 PLEASE NOTE: Due to technical difficulties, the webcast during the commencement was not available. 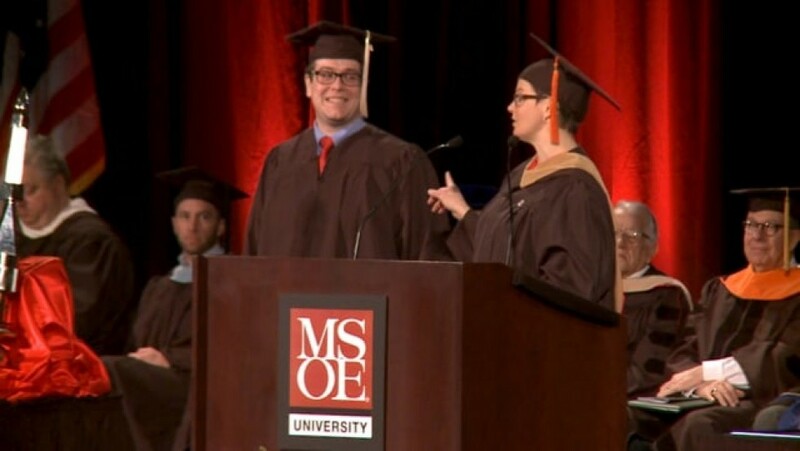 The ceremony was recorded, however, and you can watch it on this page (below) or download it from MSOE's Vimeo channel. Click the arrow below to start receiving the Webcast. You can control your sound level and even switch to full screen mode using the controls that pop up when you mouse over the picture. If playback freezes or drops out, mouse over the picture and click the play arrow an, or try reloading the page. Please note that factors such as volume of Internet traffic or your network connection speed, etc., can adversely affect the sound or picture quality of the Webcast.